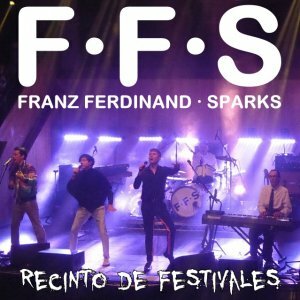 When slick Scottish rockers Franz Ferdinand met Californian pop veterans Sparks in 2004 they immediately clicked and worked on a couple of songs. They were shelved until a couple of years ago when a chance meeting brought the bands back together. [in March 2015, it was announced that the band had formed a supergroup with Sparks under the name FFS. The self-titled FFS album was released on June 9, 2015.] 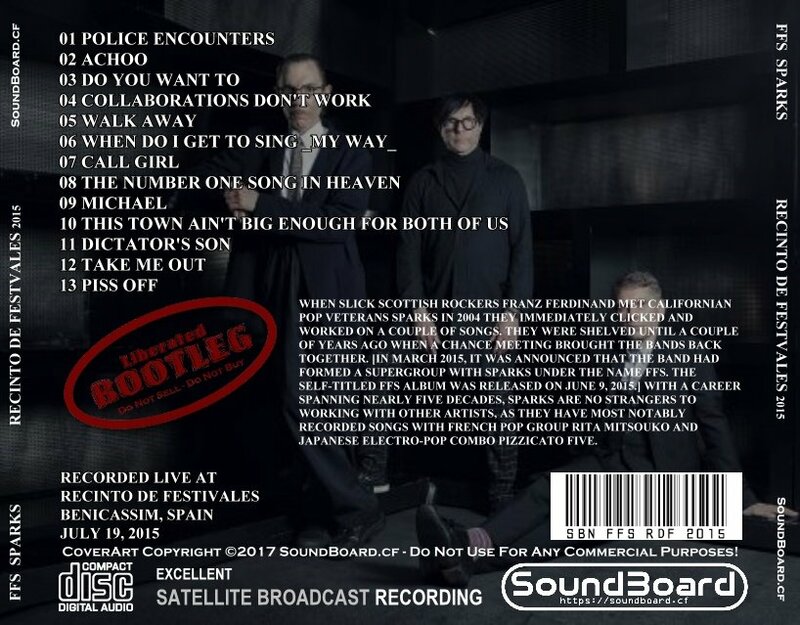 With a career spanning nearly five decades, Sparks are no strangers to working with other artists, as they have most notably recorded songs with French pop group Rita Mitsouko and Japanese electro-pop combo Pizzicato Five. Recinto de Festivales 0 out of 5 based on 0 ratings. 0 user reviews.